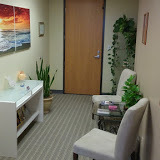 "After flying to La Jolla from New Jersey, I was referred to Dr. Ackerman by the Deepak Chopra Center. My fibromyalgia was so severe, I could barely walk a block without having to sit and rest. After two weeks of treatment, I was running again, up to 4 miles per day. One year later I’m still symptom free!" The "New Orleans Saints" & "The Delta Festival Ballet Company"
Choosing an excellent chiropractor is not easy. The variation in skill level and expertise is quite vast in our field. Think of the difference between the best and most intuitive massage therapist you've ever had, and the poorest massage experience you've ever had -- the spectrum is quite large -- even though a massage certification may be obtained in a matter of months. In chiropractic medicine, where skill and knowledge takes many more years to acquire, the difference between doctors is much greater than you can imagine. Take time to look into the background of the chiropractic physician you are considering, and obtain consultations from more than one to compare their approaches. If you do not obtain very satisfactory results within the first three weeks of care from one doctor, try another chiropractor and see if a different approach and different skill set will give you a significantly better outcome. 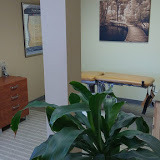 What Makes Our Chiropractic Clinic Unique & The Best Healing Experience You'll Ever Have! Our Prices are About One Half of the Usual and Customary Fees! high deducitble insurance policy! AUTO ACCIDENTS ARE ALMOST ALWAYS 100% COVERED BY INSURANCE! 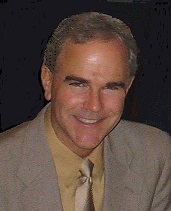 Dr. Ackerman has taught clinical adjustive techniques, had the honor of being published in a textbook on Chiropractic Therapy, and graduated valedictorian with top honors from the National University of Health Sciences in Chicago. Our office offers the least expensive spinal decompression available! 99% of Disc Problems and Herniations can be treated without surgery! Personalized In-Depth Treatments, Never an Assembly Line Approach! You've probably never experienced a more thorough examination, more effective in-depth treatment, and a more caring doctor. In each session you receive chiropractic therapy, massage and myofascial release, stress & emotional healing, and often new theraputic exercises for home use. Nutritional counseling may also be part of your treatment. Press "0" to speak directly with the doctor if you are inquiring about treatment. "I've had disabling lower back pain for over 15 years, and an orthopedic surgeon finally recommended back surgery for several of my herniated discs. After 3-4 weeks of care with Dr. Ackerman, my pain left and has never returned. 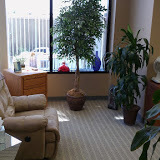 My podiatrist and holistic health practitioner also became patients of his!"